So a plain chip just isn’t your thing. 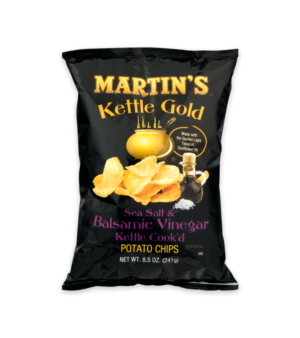 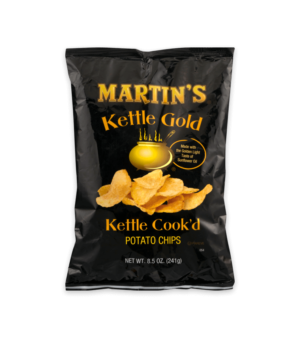 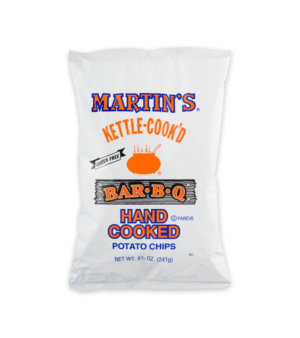 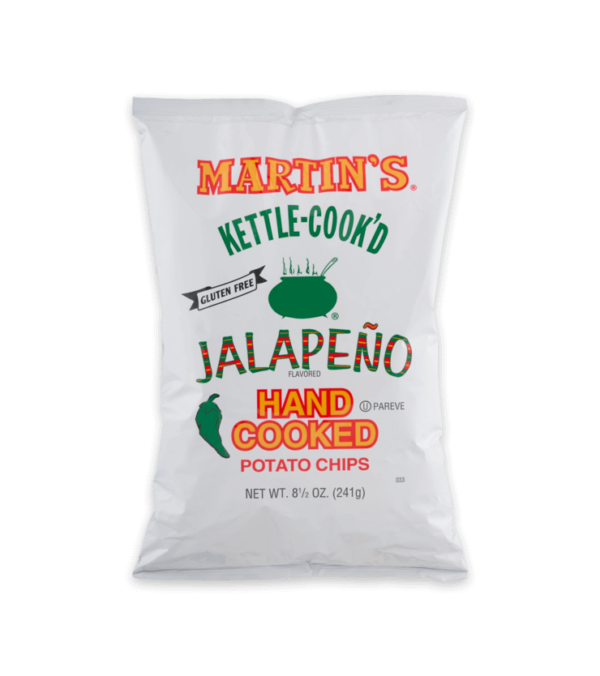 Martin’s Jalapeno kettle chips, the perfect mix of sweet and heat to take your favorite kettle chips to the next level. 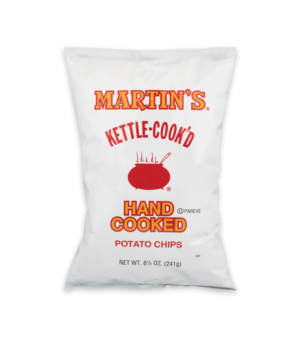 Potatoes, Shortening (Containing One Or More Of The Following: High Oleic Soybean Oil, Sunflower Oil, Hydrogenated Cottonseed Oil, Palm Oil, Hydrogenated Soybean Oil), Jalapeno Seasoning (Salt, Spices, Dextrose, Yellow Corn Flour, Monosodium Glutamate, Onion Powder, Jalapeno Pepper, Hydrolyzed Corn Protein, Turmeric, Soybean Oil, Garlic Powder, Red & Green Bell Peppers, Extractives Of Paprika, Disodium Insosinate And Guanylate), Salt.